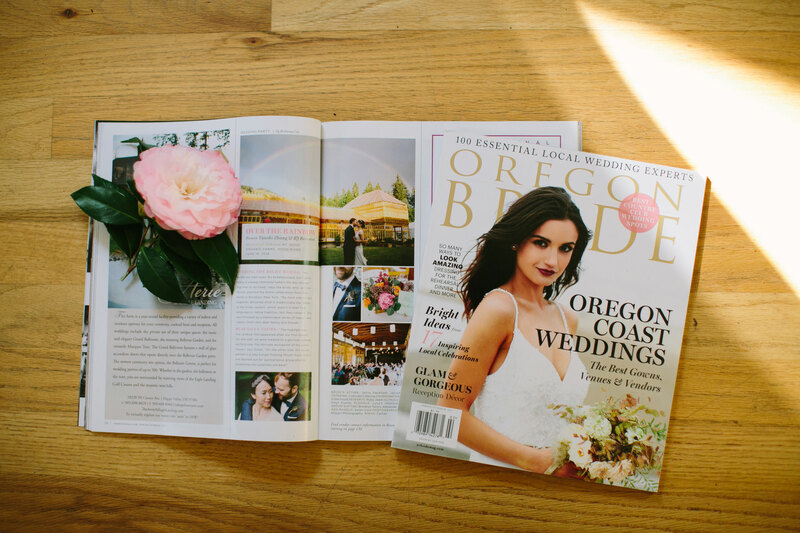 Seeing Susan and BJ’s incredible wedding at Mt Hood Organic Farms published in Oregon Bride Magazine is so exciting! Susan and BJ’s wedding was beautiful on so many levels. The weather was all over, from rain to sun, which of course, brought out the most breathtaking double rainbow during their first dances. We stepped outside for a quick photo under the rainbow.